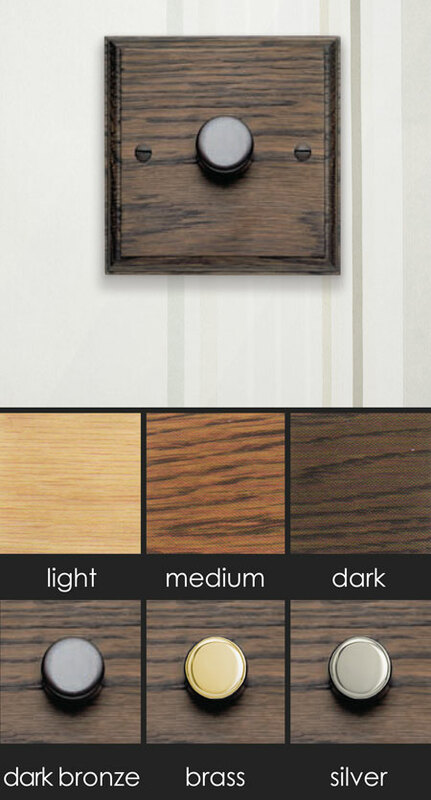 This traditional dimmer light switch with its solid oak patress body is available in the finishes of light, medium, and dark solid oak and the dimmer switch finishes of brass, dark bronze and silver. Manufactured and designed in the UK. Four gang household switches are manufactured to special order and are non returnable. * Ideal for traditional interiors.